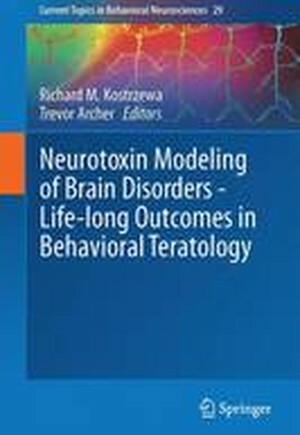 This book is authored by leading experts who made major discoveries in neuroteratology research focused on modeling human neural developmental disorders. Individual chapters address ADHD (attention-deficit hyperactivity disorder), Lesch-Nyhan disease, psychoses and schizophrenia, autism, and models of Parkinson's Disease and tardive dyskinesia. The effects of perinatal stress and agonist insults on life-long outcomes are addressed, as well as the overall effects of perinatal neurotoxins on development of specific neural phenotypic systems. The book provides a unique compendium on how perinatal insults of various types can produce effects in brain that persist throughout the life span. Researchers can derive insight into experimental approaches in this research field; clinicians can develop insights into the influences of the many noxious and seemingly innocuous substances that might influence brain development in children. From the contents: Preface.- ADHD Modeling by Perinatal Insult in Animals.- Perinatal Insults to Model Human Neuro-Psychiatric Disorders.- Selective Life-long Destructive of Brain Monoaminergic Nerves.- NGF in Perinatal Development.- Life-long Susceptibility Consequent to Perinatal Substances of Abuse.- Schizotypic Effects of Perinatal Insults.